Electronics retailer seeks to end "showrooming"
Best Buy spokesman Matt Furman told Bloomberg in an interview on Friday that the company plans to permanently extend its price-matching policy. 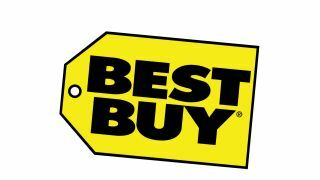 Best Buy began price matching items in the store to prices at other online retailers this past holiday season. Now it looks like the electronics retailer will apply the policy year-round in an effort to end the consumer practice of "showrooming", or checking out hardware in-store to later buy cheaper online. Permanent price matching will start at Best Buy on March 3, along with a halving of the product return period from 30 days to 15 days. A business and law professor informed Bloomberg that Best Buy doesn't want to lose its business to other retailers, particularly those selling products on the internet. Without speculating too wildly, it appears that Best Buy is learning to adapt to the changing marketplace, as are other major in-store retailers like Target, which also matches prices from online retailers. According to Furman, Best Buy is well aware of the trend, and is confident that ,"this new policy ends showrooming for Best Buy customers." Price matching at Best Buy applies to almost all merchandise in its stores except phones bought with a contract.